Manila, Philippines: Asia is today the world’s largest travel market, yet the vast majority of its population has yet to travel beyond their borders. This makes the Asian traveller a force to be reckoned with – one that presents the greatest opportunity for the travel industry, but also many challenges. To move the industry towards a closer understanding of travellers in the region, Amadeus has launched Journey of Me Insights, an Asia Pacific traveller study spanning 14 markets. As part of the Journey of Me Insights project, Amadeus today publishes a report on Filipino travellers titled “Journey of Me Insights: What Filipino travellers want”. From when and how Filipino travellers plan and book their trips, to how and why they want to stay connected while travelling, to how frequently they use sharing economy services, and the types of new technologies they would be most interested in, the study takes a multi-faceted look at what Filipino travellers want. The personalisation-privacy paradox – 64% of Asia Pacific travellers interviewed are open to sharing personal data for more relevant offers and personalised experiences. Slightly more cautious, 61% of Filipino travellers feel the same. For travel providers, the mandate is clear – personalisation must be carefully balanced against rising privacy concerns. They will need to respect and protect personal data and the need for privacy at all times. Above and beyond adhering to legislation, travel players must be able to articulate ‘what’s the value?’ to get travellers to share their data. Get real: Recommendations they can trust – Travellers take their lead from other travellers. Inspiration is the doorway to opportunity for travel providers, but authenticity is the key to unlocking it. Rather than the glossy pictures of travel brochures or the carefully curated Instagram feeds of celebrities, Asia Pacific travellers seek what’s genuine, and turn to their fellow travellers for inspiration. When planning trips, Filipino travellers are most influenced by word of mouth from friends, family and colleagues as well as traveller reviews. Their social network and travel review sites were likewise voted most likely to have sent them relevant recommendations about travel. The right content, through the right channel, at the right time – In the world of travel, every engagement point matters. 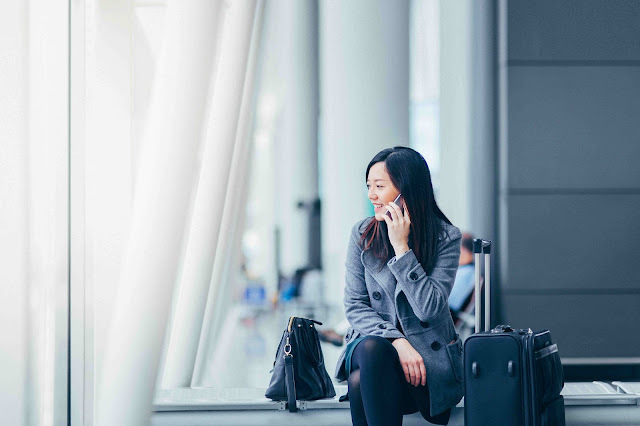 Beyond personalisation, connecting with travellers in a timely and intuitive manner is equally important. While the vast majority of Filipino travellers would be interested in receiving travel recommendations from the moment they consider a trip all the way up to while they are on the trip, travel players must consider carefully how to connect with them and with what content. 52% of Filipino travellers prefer to receive updates and recommendations about their trip through e-mail, with only 6% happy to be contacted via mobile messaging services. Recommendations that help them save money was the top choice for Filipino travellers (50%), while timesaving tips were less popular (12%). There are many Asias within Asia – The most dominant observation from Journey of Me Insights is that there is no consistent profile for the Asia Pacific traveller. Stark contrasts in behaviours, needs and preferences were observed across all geographic and demographic lines. For example, while 66% of Chinese travellers do most of their trip booking on mobile, only 36% of Filipino travellers do so. Separately, while 70% of Japanese travellers have never used a sharing economy service for trip accommodation, 66% of Filipino travellers have, and almost half of all Indian travellers say they do so ‘often’ and ‘very often’. And while 78% of Filipino travellers think it’s important to find service staff at the destination that speak a language they understand, only half (47%) of Malaysians do, with Hong Kong travellers (4%) even less likely to think the same. Journey of Me Insights was conducted in collaboration with YouGov across 14 markets in Asia Pacific including Australia, China, Hong Kong, India, Indonesia, Japan, Korea, Malaysia, New Zealand, Philippines, Singapore, Taiwan, Thailand and Vietnam. All figures, unless otherwise stated, were provided by YouGov. Total sample size was 6,870 adults across Asia Pacific who have travelled internationally in the last 12 months. Fieldwork was undertaken between 8th and 17th May 2017. The survey was carried out online.